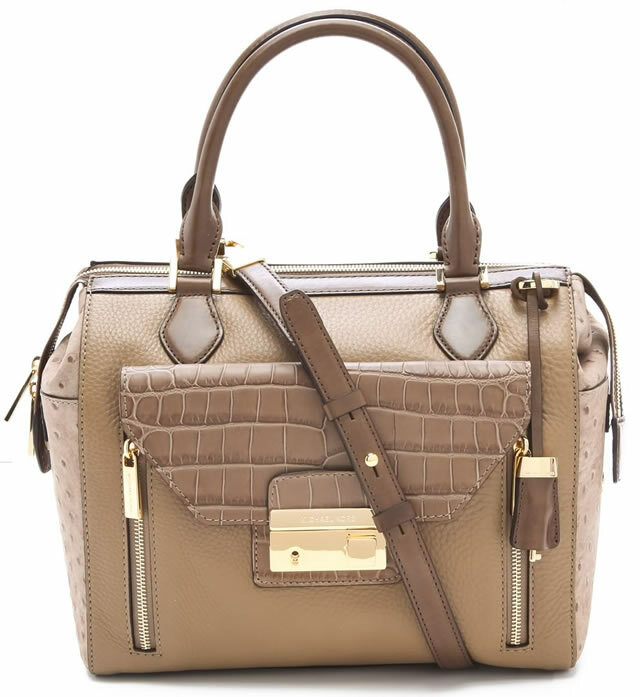 It’s been a while since we’ve put up a Want It Wednesday post, and it’s also been a while since I’ve really wanted a Michael Kors bag. Don’t get me wrong, Kors’ bags are highly wearable and I can barely make it down a block in New York City without seeing one on someone’s arm, but some of the bags simply don’t speak to me. This is not the case when it comes to the Michael Kors Collection Gia Top Zip Satchel, however. This bag speaks to me on many levels and I want nothing more than to add it to my collection and make a special place for Michael Kors in my closet. Between the structure, the different combinations of materials and the shape, I really think this Michael Kors bag is a great staple for fall and winter. 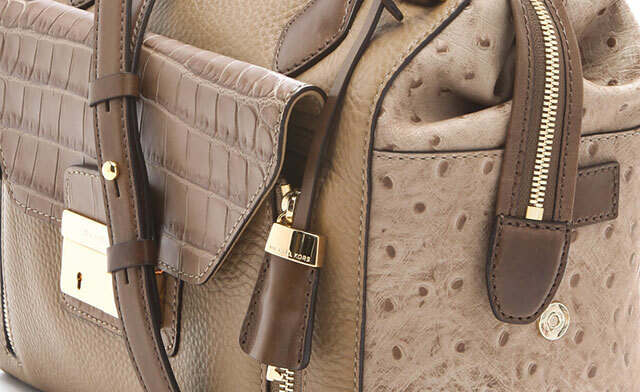 The front flap features an embossed croc skin, while the sides have embossed ostrich. That seems like it could be over the top, but in reality, it’s just the right combination for this bag. Much of that success has to do with the coloring of the bag; everything is tonal and neutral, which helps tone down the array of finishes. The shape of the bag is what first lured me in – it’s a structured satchel but has a long shoulder strap which will make it easy to carry as well. Another addition I really like is the front flap pocket, along with the ability for the bag to expand because of its zippered gussets. Price is $995 via ShopBop.